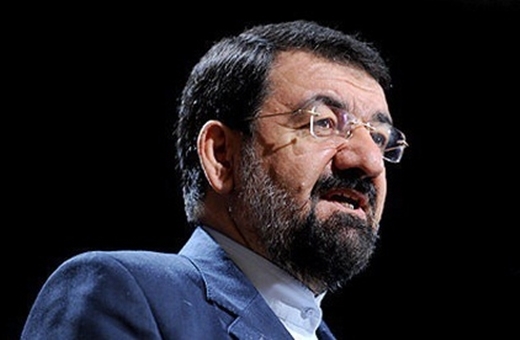 A senior Iranian official and a former commander of Islamic Revolution Guards Corps (IRGC) says whenever Iran adopted moderate policies towards the West, they used threatening language in response. “The point is that the result of ‘Dialogue among Civilisations’ was [George W.] Bush’s threat, and the result of JCPOA [nuclear deal between Tehran and world powers] was [Donald] Trump’s threat,” Mohsen Rezaei, the secretary of Iran’s Expediency Council and the ex-commander of IRGC, said in a post in his Twitter account. Dialogue among Civilisations was the idea introduced by former Iranian president Mohammad Khatami as a response to Samuel P. Huntington’s theory of a Clash of Civilisations. The idea was well received in the world and the United Nations, but the US administration of George W. Bush responded to Iran’s moderate policies at that time by putting the Islamic Republic in the so-called Axis of Evil. Rezaei says the same thing is now happening, with Trump using a threatening language against Iran after the moderate policies adopted by President Hassan Rouhani, which led to the nuclear deal.